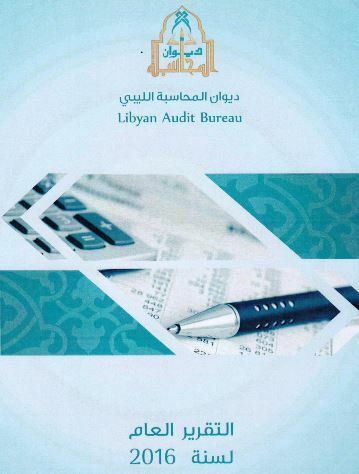 The Tripoli-based Audit Bureau says in its 2016 Annual Report that corruption in Libya’s banking system threatens the country’s whole economy (Photo: Tripoli Audit Bureau). In its introduction to the chapter on corruption (chapter 2, page 55), the Tripoli-based Libyan Audit Bureau in its 2016 Annual Report concluded that corruption was rooted in the Libyan psyche and culture and was practiced by 86 percent of society. In the section specifically on the banking sector, the audit Bureau says that the spread of corruption there ‘‘threatens the whole Libyan economy’’. 1-The growth of money smuggling overseas through the manipulation of Letters of Credit (LC) and overseas bank transfers. 2-Fake /phantom imports of goods (through the import of empty containers or containers containing vastly undervalued goods). 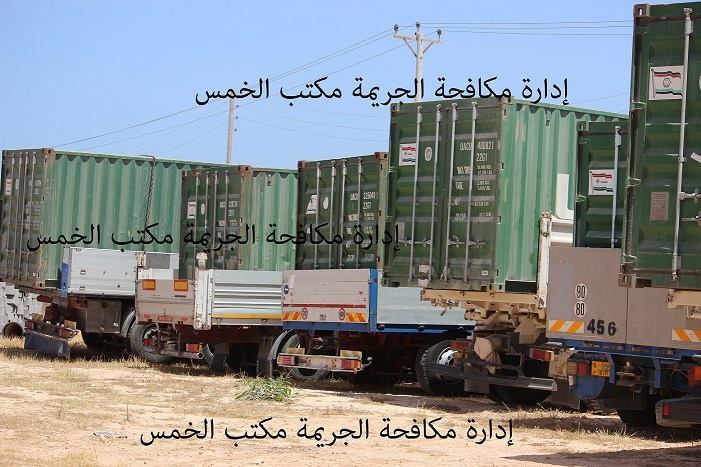 Khoms police seizes more Khoms Port containers in LC financial corruption in May 2016 (Photo: Khoms Police Counter Crime Unit). 3-The acceptance of money laundering transactions as part of LC manipulation. 4-The manipulation in the use of debit cards. The Audit Bureau names top 74 in NCB Visa debit card corruption (Photo: NCB). 5-Fake depisits through the manipulation of the clearing system. 6-The manipulation and misuse of guaranteed cheques. The Audit Bureau in cooperation with the Public Prosecutor’s Office opens empty containers in Tripoli port exposing FX and LC scams in September 2015 (Photo: Audit Bureau). 8-Extending loans and cover without collateral. 9-Accepting bad cheques and debiting them from state accounts. A video confession by bank managers admitting to FX corruption in February 2016 (Photo: Libyan Police Dept). 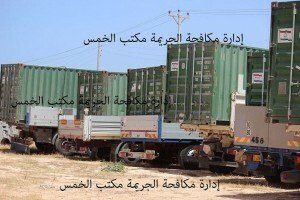 The issue of corruption in Libya has received much coverage in this publication. The Central Bank of Libya has over the years since the 2011 revolution come in for much criticism for not doing enough to fight corruption in the banking sector. The CBL is the recipient of Libya’s oil revenues in hard currency and is the point of contention and the struggle for access to hard currency in the form of LCs. In its self-defence, the CBL points out that it is not a crime investigating or law enforcement agency. 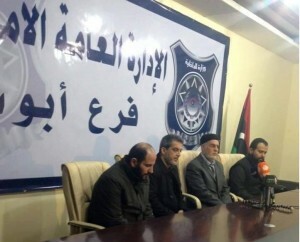 It blames the weak Libyan state for not playing its part in deterrence, crime prevention and pursuit of suspects. 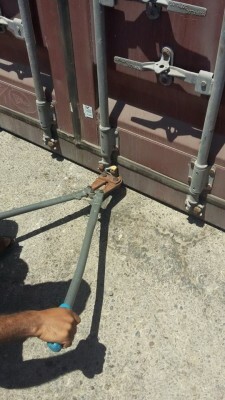 For example, it says it is not its role to inspect containers in ports or to check the validity of companies and their documentation that apply for LCs..